Spider-Man, X-Men and Iron Man co-creator Stan Lee has found himself the target of a lawsuit claiming that he's not been honest about the financial success of his creations. How far our heroes have fallen. The lawsuit is being brought by shareholders of Stan Lee Media Inc. claiming that they are owed profits from all properties based upon a Stan Lee creation made after 1998... such as all three Spider-Man movies, the two Fantastic Four movies, the two Hulk movies, Iron Man, the three X-Men movies, and merchandise based upon all of the above, in addition to books and comics based upon the characters. The suit names Lee, his wife, Marvel Entertainment and former Marvel CEO Avi Arad as defendants. On the face of it, the lawsuit is insane; Stan Lee Media, Inc. has only been in existence since 1998, and was originally founded to shop around Lee as a source of IP for media companies looking for new creations, not his 1960s Marvel work, which was clearly owned by Marvel. Well, clearly until a strange 2007 lawsuit when SLM filed a lawsuit against Marvel, claiming co-ownership of all of the characters. Lee himself wasn't behind that decision, however, a fact underlined by the fact that SLM then filed suit against Lee himself, a few months later. 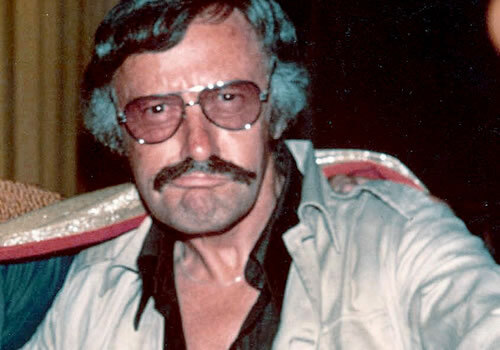 Lee's attorney, Mark Williams, issued a statement saying that "We look forward to a positive resolution for Stan Lee and his family," while Marvel released their own statement, calling the lawsuit "ridiculous." We're just happy for another pointless lawsuit to distract us now that the Watchmen rights have been sorted out. Where's Matt Murdock when you need him?